The coils shown in the pictures below are all modern voltage driven types. The single output coil has a large metal clamp so it can be bolted to the the metal framework of the vehicle. 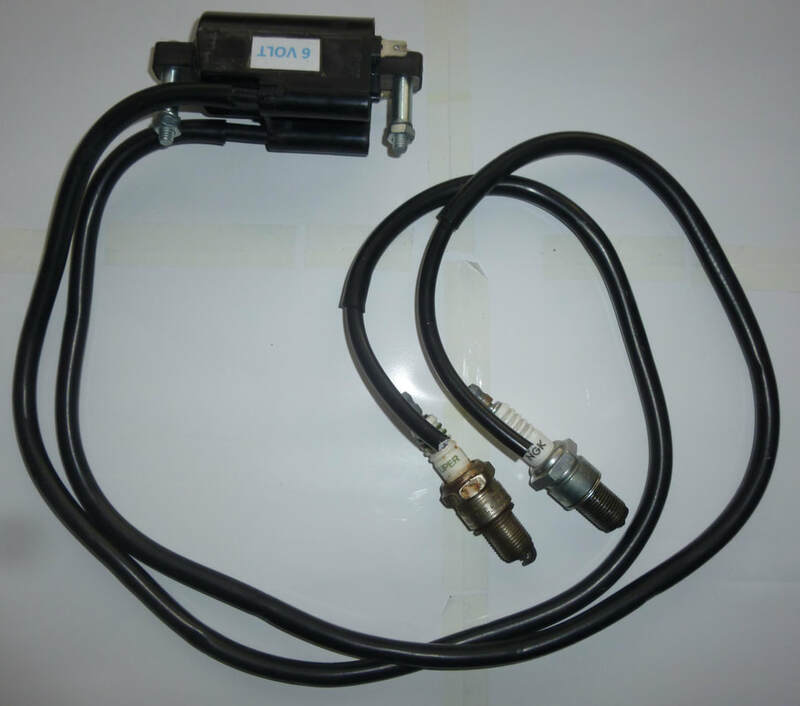 The twin output coils have two studs which can be bolted to the framework of the motorbike. 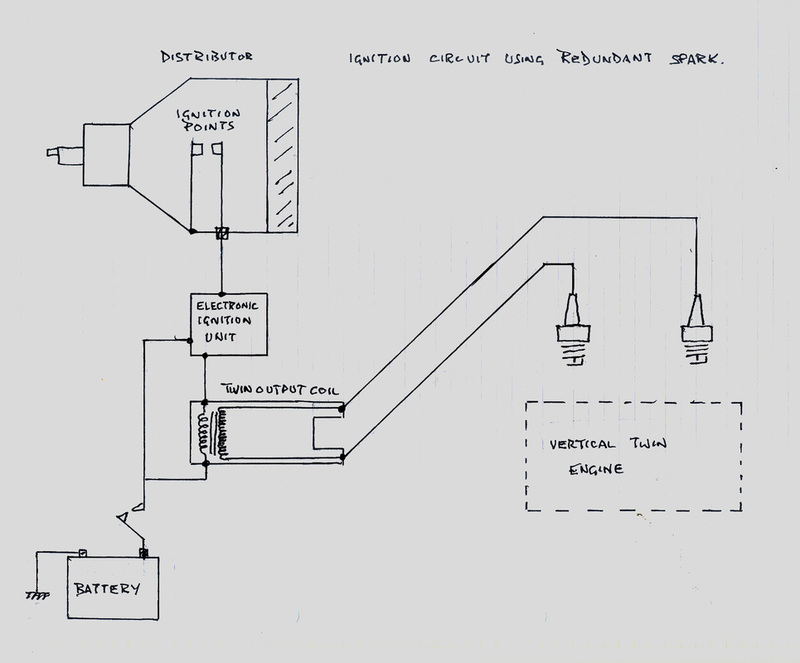 This can be seen in the pictures featured in page ' Redundant spark ignition'. 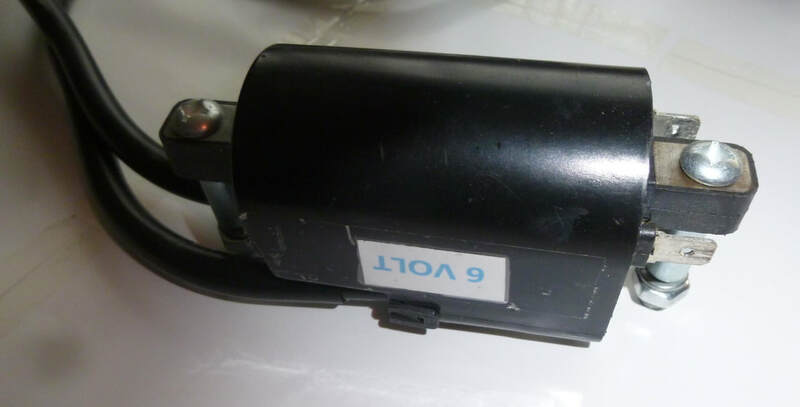 The twin output coil is mounted underneath the seat and is fixed by the studs to the metal of the battery box. The twin output six volt coil is readily available from that well known auction site at around £ 35 plus postage. If you have difficulty finding this item I can purchase it for you. 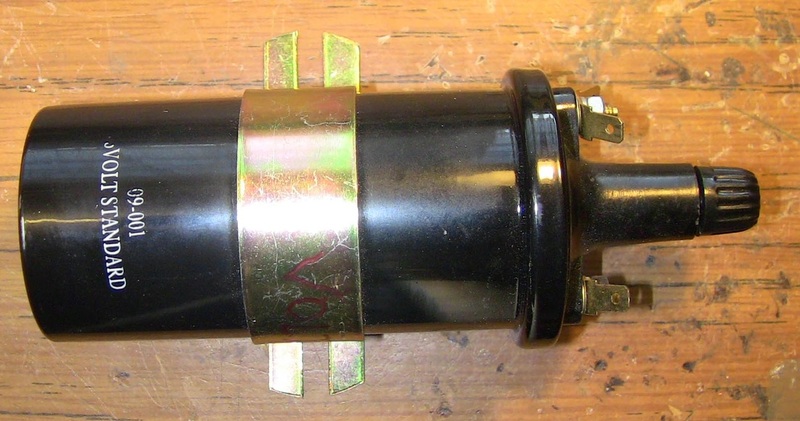 A modern six volt twin output coil. Below is shown the twin output coil with direct connections to sparkplugs, so the ditributor cap and rotor arm can be dispensed with not ony simplifying the system but making it more efficient. 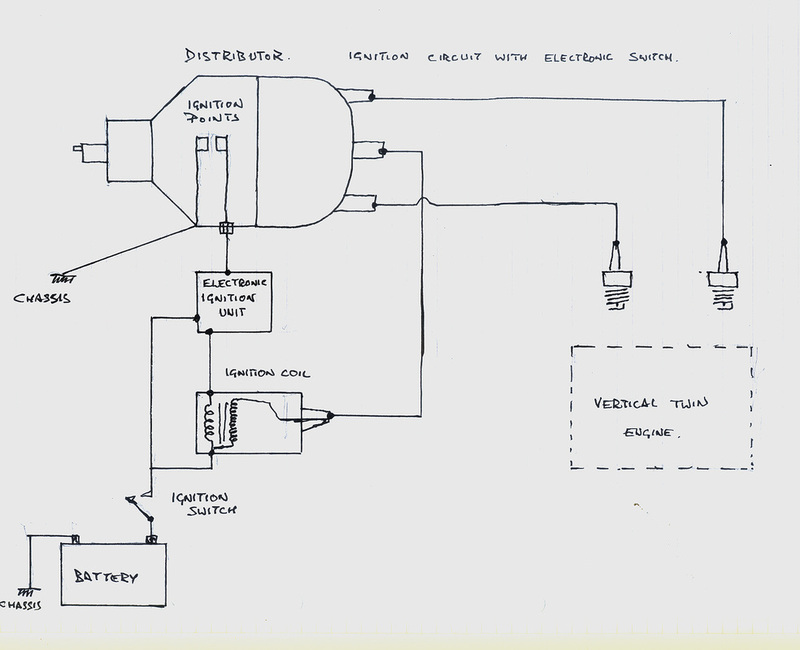 Ignition circuit with single ended coil and distributor.